A traumatic brain injury (TBI) can have devastating consequences for both the victim and the victim's family members. John B. Kenison, Jr. understands the stress and confusion of dealing with a TBI and can help victims and their families navigate the legal aftermath. 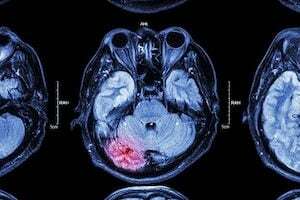 As a brain injury lawyer who has represented many victims of TBI, Mr. Kenison works carefully to secure the compensation victims need so they can focus on healing. If you or a loved one suffered a brain injury in an accident in Manchester, NH, you should seek legal advice as soon as possible. Contact Kenison Law Office, PLLC today to schedule a consultation. Hypoxia, anoxia, and concussions are the three primary types of traumatic brain injuries. Hypoxia: When the level of oxygen reaching the brain and other organs and tissues is reduced, this is known as hypoxia. Anoxia: While hypoxia refers to a reduced level of oxygen, anoxia is a total absence of oxygen to the brain and other vital organs. Concussions: A concussion typically results from trauma to the head or violent shaking. This type of trauma causes the brain to strike the skull. This movement can cause chemical changes in the brain. Brain injuries can happen in a variety of circumstances. Trauma to the lungs in an accident can cause hypoxia or anoxia, while trauma to the head can result in mild to severe concussions. Victims of TBI may have been involved in auto, work, or construction accidents. As a brain injury lawyer who has represented many victims of TBI, Mr. Kenison works carefully to secure the compensation victims need so they can focus on healing. Victims of assault can also suffer from a TBI. Full-contact sports like boxing or football can increase your risk for brain injuries. In other cases, oxygen deprivation may occur while under professional medical care. This could take place during a surgery if a nurse or doctor fails to adequately monitor a patient’s vitals. Cases of TBI involving doctor or nurse negligence are considered medical malpractice. Traumatic brain injury victims usually do not understand the degenerative effects and long-lasting impact of these injuries. This makes working with a brain injury lawyer crucial. Mr. Kenison thoroughly reviews all the facts of TBI cases and is accessible to his clients 24 hours a day. He can help ensure your best interests are met. If you are ready to review your case or you need help deciding your next steps, call Kenison Law Office at (603) 471-3550 or contact us online today to schedule your free consultation.